Isolde Records is a young record company from the Netherlands whom in their short existence evolved to a label with it’s own signature. Mainly focussing on jazz, soul, blues, fusion and acid-jazz, but Isolde has always an open ear for all ‘good sounding/ composed ’ music. With artists like Tristan, Jamal Thomas Band, Yasam Hancilar, KASPER, Writersday, Big Mike, On Impulse, Pimpy Panda a.o., they have proven their good taste in music. Founded by two full time musicians, Coen Molenaar and Frans Vollink in 2013. Coen is working as a musician/ composer/ teacher/ producer and is touring around the globe with the legendary Jan Akkerman. Frans runs his own studio, and plays/ played with Dutch pianist Jasper van ’t Hof. 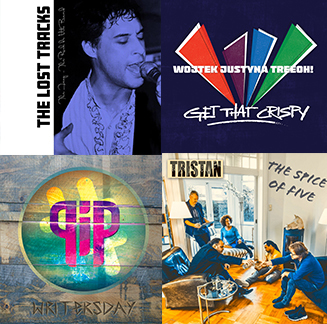 Together they are the core members of acid-jazz group Tristan and On Impulse. In their own bands they have featured a lot of international instrumentalists like Randy Brecker, Marc Guillermont , Nigel Hitchcock, Jamal Thomas to name a few. U.S. soulsinger Heston has been a guest on several albums over the last couple of years and vice-versa. Same goes for jazz-vocalist Deborah J. Carter. In 2013 Isolde Records started out as a record label, at first to support their own bands. The first release was an album entitled ‘Full Power’ by Tristan, which turned out to be quite a success. In the UK soul charts the album reached number one and brought Tristan to many festivals and venues throughout Europe. Partnerships are there with two Japanese record labels (Sweet Soul Records/ AMSA Records), German label ‘Mocher Music’ and London based Expansion Records. With a catalogue covering over 20 bands and artists, Isolde Records turns out to be quite a success. To cover all various fields in this business like TV& Radio promotion, press, distribution, PR, CD printing, booking etc., they decided to team up with a nice couple of music-industry professionals.